It’s been three years since Leonardo DiCaprio last starred in a feature film, when he pulled down his first Oscar win as a vengeful frontier tracker in 2015's The Revenant. 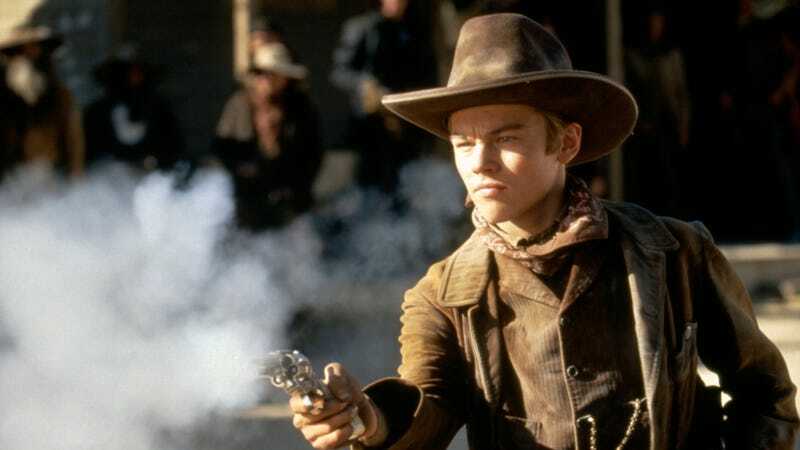 Now, it’s been revealed that his new role, in Quentin Tarantino’s latest movie, will see DiCaprio sticking to that Old West theme—sort of. This is per Deadline’s Mike Fleming Jr., who filled in a few new details about the already-announced part DiCaprio will be playing in Tarantino’s latest, which is set in Hollywood during the summer of the Manson Family murders. .According to Fleming, the actor will be taking on the role of a washed-up old TV performer whose beloved cowboy series, Bounty Law, has been off the air for years when the film’s 1969 setting rolls along. At loose ends in his career, the character will apparently be contemplating a move to Italy to tap into the Spaghetti Western boom—oddly fitting, given that Tarantino and DiCaprio’s last collaboration, Django Unchained, had its roots in that same film-making movement. Tarantinio’s latest movie—still untitled—is being aimed for a 2019 release.